Our alumni are making waves all over the world! Here’s our latest round of alumni updates, keep them coming! You can submit your update to: alumni@fromthetop.org. 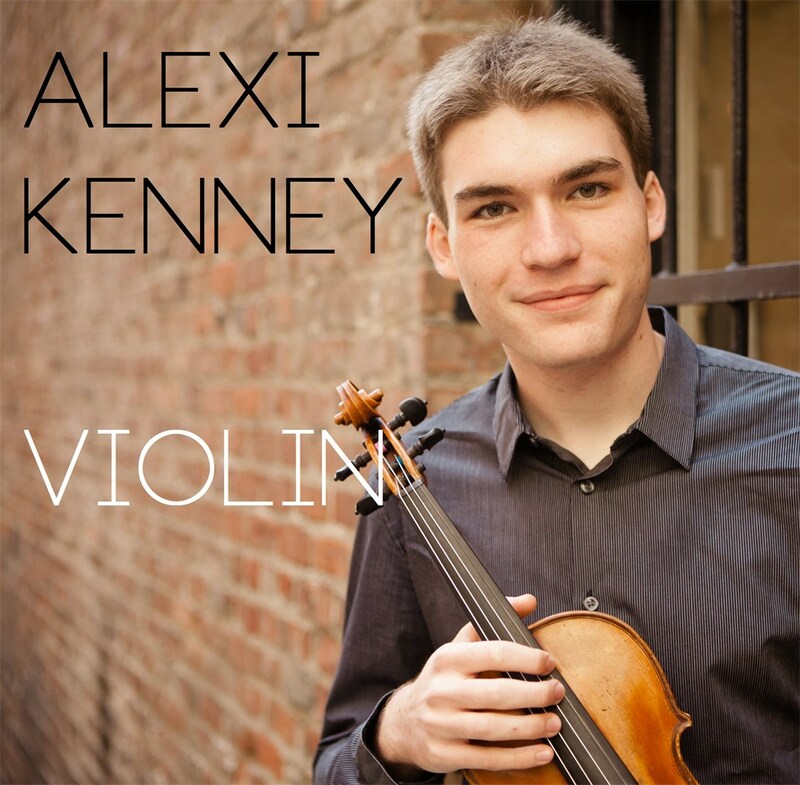 Alexi Kenney (Show 200) was named a 2013 Concert Artist Guild winner in New York last week. The Concert Artists Guild provides management support “to a roster of talented artists during a critical and formative time: between completion of formal studies and the achievement of an established career.” Past From the Top alumni winners include Sebastian Baverstam and Steven Lin. Soprano Nadine Sierra (Show 95, Show 213) won the XIII International Montserrat Caballé Singing Competition in Zaragoza, Spain, and the Neue Stimmen 2013 International Singing Competition in Gütersloh, Germany. Among other appearances, she will be singing Rigoletto in March with Boston Lyric Opera. Tubist Ibanda Ruhumbika (Show 155, Show 169, TV Season 2) released his first CD as a member of “Jon Batiste and Stay Human,” a modern jazz ensemble noted for their world-class music, high energy, and uplifting spirit. 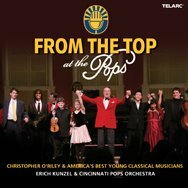 They performed at the From the Top Gala in May 2013 and are touring now in support of their “Social Music” album release. Teddy Abrams (Show 69) has been named the new music director of the Louisville Orchestra. Alum and Jack Kent Cooke Young Artist Umi Garrett (Show 211, Show 217) just performed eight community concerts in 17 days throughout North Carolina, South Carolina, Pennsylvania, Georgia, and Virginia. She also performed Chopin’s Fantasy Impromptu for the soundtrack of the Steve Jobs biopic “Jobs.” Read about Umi in the Huffington Post. Michael Thurber (Show 125), one of the creative forces behind the popular YouTube channel CDZA and an accomplished composer in his own right, was in London this fall working on music for “Antony and Cleopatra,” a new production of the Royal Shakespeare Company and the Public Theater. The show debuts in Stratford-upon-Avon, England in November, before coming to Miami in January and New York City in February and March. Michael is also part of the creative team behind “Goddess,” a new musical that was workshopped at the Eugene O’Neill Musical Theater Conference. Wearing his other hat, Michael will join his CDZA colleagues to perform at the first-ever YouTube Music Awards on November 3. Charles Yang (Show 74, Show 160, Show 230, TV Season 1), a frequent collaborator of Michael Thurber’s and CDZA will also perform at the upcoming YouTube Music Awards. But don’t think he’s left the classical music world behind! Charles just performed Tchaikovsky and a premiere with the Peoria Symphony and will accompany American Ballet Theatre’s performance of Twyla Tharp’s “Bach Partita” in New York (as featured in The Wall Street Journal). “I am not a rock star” follows eight years of alum Marika Bournaki’s life. A film following eight years of the life of alum Marika Bournaki (Show 181) entitled “I am not a rock star” is making the rounds at various film festivals. Her From the Top appearance in 2008 was filmed during the documentary project. Violist Daniel Orsen (Show 246), from Pittsburgh and currently a sophomore at Oberlin Conservatory of Music, was one of only three finalists in the junior division for viola at the 2013 American String Teachers Association (ASTA) National Solo Competition in April at the Kaufman Center’s Merkin Hall in New York City. This past August, Daniel completed his fourth summer with the Perlman Music Program Summer Music School in East Hampton, New York on Shelter Island. Composer Chase Dobson (Show 265) was named Composer in Residence at the Avante Chamber Ballet in his hometown of Dallas and was commissioned to write his first short ballet, “Faces of the Sun” for horn, violin, and piano. Chase spent his summer at Boston University Tanglewood Instiute and is currently a senior at Booker T. Washington High School for the Performing and Visual Arts in Dallas. 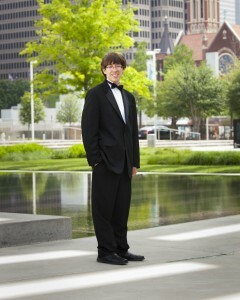 To learn more about Chase Dobson, visit his website: www.chasedobsonmusic.com. Four From the Top alumni – Aaron Bigeleisen (Show 254), Peter Eom (Show 269), Hilda Huang (Show 180, TV Season 2), and Annika Jenkins (Show 234) – were among 20 high school seniors to receive the U.S. Presidential Scholars in the Arts in Washington, D.C. in June. Aaron Bigeleisen also won first place in Classical Singer Magazine’s High School Vocal Competition and participated in Ottimavoce, a program in New York City run by Dr. Karen Parks of the Tisch School at New York University this summer. Aaron is a freshman at Eastman School of Music and the University of Rochester in their double degree program for Vocal Performance and German. After graduating from Vanderbilt University in 2007 with a double degree in Classical Guitar and English Literature, Jennifer McNeil (Show 50) became a managing editor at Thomas Nelson Publishing Company in Nashville, Tennessee. She decided she missed music and completed her Master’s in Music at New England Conservatory with teacher Eliot Fisk this past May. Jenni is currently studying classical guitar performance under Antigoni Goni at the Royal Conservatory of Brussels.